2018 has been a challenging season for Cam Wilson, but the outgoing Track Attack Australia Excel Cup champion sent a message to the rest of the paddock, at Lakeside Park, last weekend, as he claimed a clean-sweep, to end a disappointing season on a high note, and remind everyone exactly why he was the defending champion in the first place. 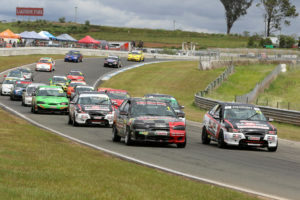 Behind the dominant Wilson, the story was all about his former team-mate, Brett Parrish, who secured his fourth Track Attack Australia Excel Cup crown, by finishing second in all four races, and therefore the round as well. Parrish held a 70-point lead coming into the season finale, and with only 100 points on offer, it was always going to be a long shot for Darren Whittington, to provide the sting in the tail, but he was never not going to give it a crack. 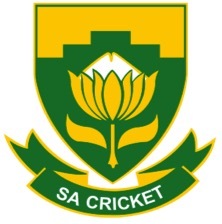 Unfortunately for the youngster, his team-mate continued the ultra-consistent form that had seen him build a 70-point lead in the first place, on a weekend where Whittington would be forced to battle some mechanical gremlins. Scott Green and Daniel Peasey were absentees from the season finale, which opened the door for Simon Winters to secure third in the championship, which would give the Brett Parrish Racing Organisation a championship podium lock-out, if he managed to score the points required to displace Peasey. 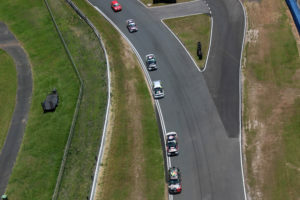 Unlike the previous meeting, all races would be for championship points, but just like the last outing, the format was part-sprint, part-endurance, with two six-lap races to be contested, as well as two 30-minute mini-endurance affairs. Twenty-four cars took to the circuit for Qualifying – the smallest grid of the season – and, Cam Wilson and Brett Parrish were on the money straight away, and wasted no time in stating their intentions for the four races that would follow. Wilson edged out his former team-mate, by 0.0633, to grab his first pole position of season 2018. Parrish was a clear second, as the front row had at least three-tenths on the rest of the pack. 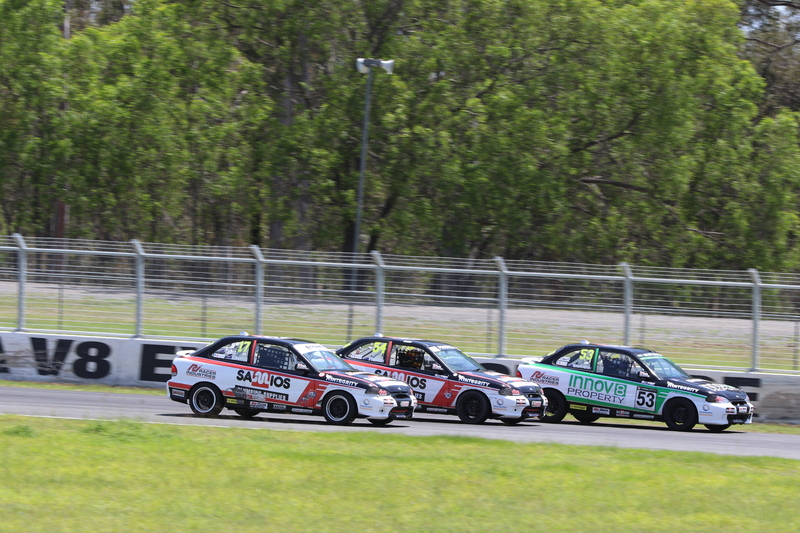 The man who replaced Cam Wilson at BPRO, and the second of the title contenders, Darren Whittington, was third fastest, just ahead of John Sheridan, and the third BPRO entry, Simon Winters. 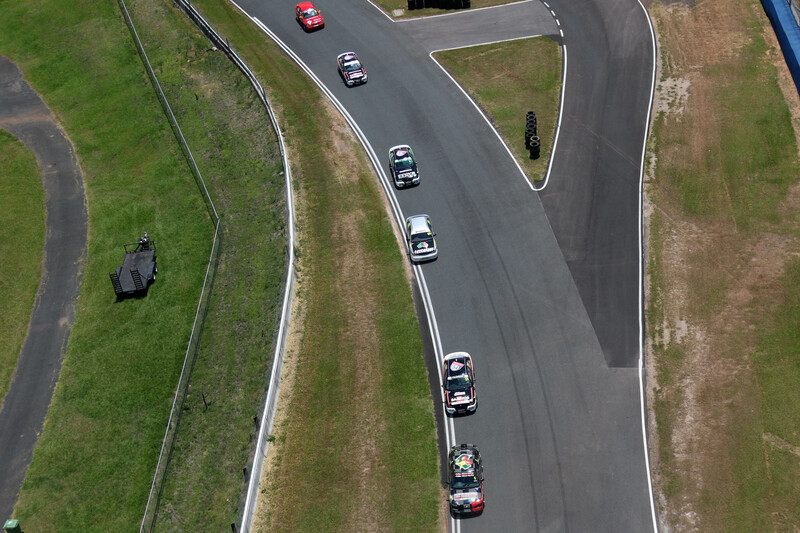 Race 1 was a case of ‘follow the leader’, as the top two finished exactly where they started, and the running order at the end of lap six was exactly as it was at the end of lap one. Mick McCloud made light work of Corey Willis on the opening lap, and would remain in sixth for the rest of the race. Behind him, an incident on lap two saw Corey Willis drop down the order, and Josh Brown drop out of the race, while Scott Kelly was a non-starter. Willis’ misfortune saw Dave Shinners move into seventh, and while no-one in the top five was in danger of losing their position, Shinners was hunting Mick McCloud down. While he wasn’t able to get past, Shinners did set the fastest lap of the race in the process of chasing track position. Just 1.5 seconds separated the top six in the end, as Cam Wilson snared his second win of the season, ahead of Brett Parrish, John Sheridan, Darren Whittington and Simon Winters. John Sheridan got by Darren Whittington on the opening lap, and that was the only change, within the top five, from the qualifying order. 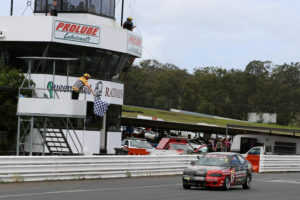 With second, Brett Parrish extended his championship lead to seventy-four points, meaning he could mathematically secure his fourth Track Attack Australia Excel Cup, in the second race of the day. For the opening ten minutes, that second race ran in a very similar fashion to the first – processional, follow-the-leader, very un-Excel like racing, as Cam Wilson had the early lead, ahead of Parrish, Sheridan and Whittington, with Winters, McCloud and Shinners following in close pursuit. When an impatient Dave Shinners fired up the inside of Mick McCloud, on Lap 12, it opened the floodgates, as the leading pack went about fighting for track position. On Lap 16, Shinners made light work of John Sheridan, to move inside the top five, as Wilson continued to lead the BPRO trio of Parrish, Whittington and Winters. As Shinners got by Sheridan, so did McCloud, to move back into sixth position. Lap traffic started to play its part, which proved helpful to Wilson and Parrish, who snared some breathing space, as they broke clear of the Winters and Whittington, who’d swap places after Winters found his way by on lap 17. On lap 22, the race was suspended, after the car of Greg Robertson was found upside down, on the exit of Hungry corner. Robertson was wide on the exit, spun the car across the track, landing in the dirt, which the tipped the car, very softly, over onto its lid. While Robertson walked away from the incident, officials decided to declare the race, as there was only a few minutes left to run, which meant Cam Wilson became the seventh different driver to win both Saturday races, in a championship round, this season, and it also meant that Brett Parrish had done enough to secure his fourth championship, with two races to spare, having finished two places ahead of Darren Whittington. Simon Winters was third, ahead of Whittington, and they were clear of Shinners, McCloud and Sheridan. Sunday’s opening race saw a lot more action than the Saturday sprint affair. Brett Parrish took the early lead, but wasn’t able to hold it, with Cam Wilson reclaiming top spot on lap three. 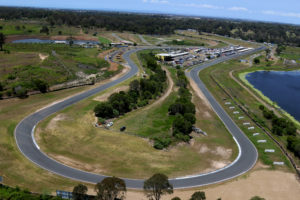 Two lead changes later, Wilson prevailed victorious, by mere tenths over Parrish, while Simon Winters held on for third, but the big story was behind them, with Cameron Bartholomew joining the grid just for the Sunday races, meaning he started race three from the rear of the grid. In just six laps, or 14.46km, he rocketed from 25th to 4th, and promised to be a real threat in the 30-minute race later on in the day. Darren Whittington came home in fifth, ahead of Shinners and McCloud, who had a race long tussle, and John Sheridan was eighth. Meanwhile, Greg Robertson was back on-track, following his shunt in the previous race, but he wasn’t in his car. Robertson’s neighbour is none other than Cliff Sedgley, and with Cliffy on the sideline due to medical reasons, he insisted that Robertson drive his car for the last two races of the season, and in the first race of the day, Robertson bought the Marlboro Holden Torana tribute livery Excel home in 22nd position. While Saturday’s 30-minute race was quite tame, by Excel standards, the fireworks were let off right from the start in the final race of the season, as Cam Bartholomew stormed up the inside of Brett Parrish and Cam Wilson, while Simon Winters ranged up on the outside of the outgoing champ, as they tried to go FOUR-WIDE through the kink. Bartholomew went from fourth to first, as he took the lead going into the Karousel, ahead of Wilson, Parrish and Winters, while Whittington had settled into fifth, just ahead of McCloud and Shinners. As the field settled down, Bartholomew continued to lead, until lap 5, when Wilson took the lead back, and would not look back. The outgoing champion lead the remaining 23 laps of the race, and claimed his fifth win of 2018, and the first clean-sweep of the 2018 Track Attack Australia Excel Cup as well. Wilson’s winning margin was only 1.9 seconds, but he made it look easy, as Parrish and Bartholomew went about sorting out the minor placings. 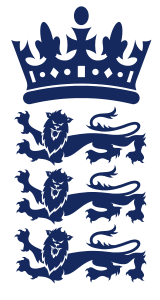 Behind them, Darren Whittington was an early retirement. With the championship gone, and ongoing mechanical gremlins, he parked up, to save the car any further wear and tear. On-track, Dave Shinners had found his way up into fifth place, having passed Simon Winters, and he was hunting down Mick McCloud, who was trying to stick with the leading trio. The fireworks continued a short while later, as Shinners made an ambitious move up the inside of Mick McCloud, at the final turn, but there was contact between the pair, and that resulted in McCloud spearing off into the tyre wall, on the outside of the circuit. Shinners moved into third, and McCloud was able to resume, but he was well out of contention, as Shinners continued on, now chasing Parrish and Bartholomew, but it wasn’t long before the order was reversed, as Parrish found his way by the #25 pilot. Shortly after, Bartholomew began to slow, and it wasn’t too long before the #25 was forced to retire from the race, after an almighty run up until that point – disappointing for Bartholomew, as he was only five laps from home. In the end though, no one could stop Cam Wilson, who got the better of Brett Parrish, who completed his consistent championship winning campaign with a bag of second-place finishes. Dave Shinners was third across the line, ahead of Simon Winters, who, with the result, secured third in the championship for 2018, and John Sheridan rounded out the top five. Post-race, Mick McCloud was excluded from the race, while Dave Shinners was handed a 30-second penalty, for his involvement in the incident with McCloud. 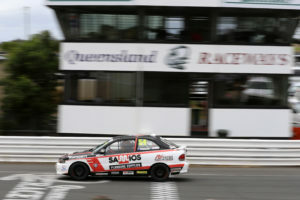 Shinners dropped from third to ninth in the finishing order, and it proved to be a double blow for him, as he missed out on ninth in the championship, to Daniel Natoli, by only five points. 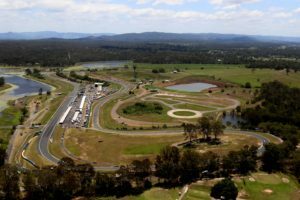 2018 Track Attack Australia Excel Cup | Round 8 – Lakeside Park | November 17-18. VIDEO: On-board with Simon Winters, for the thrilling opening exchanges of Race 4. 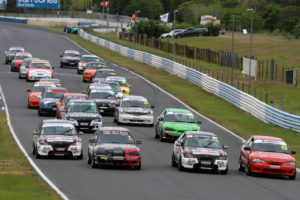 In the final analysis, Brett Parrish may have scored a comfortable win in the championship, but it was Darren Whittington who scored the most race wins in 2018 (7), ahead of Parrish (6), while Scott Green and Cam Wilson scored five each – not a bad effort for Scott Green, given he sat out the final three rounds of season 2018. 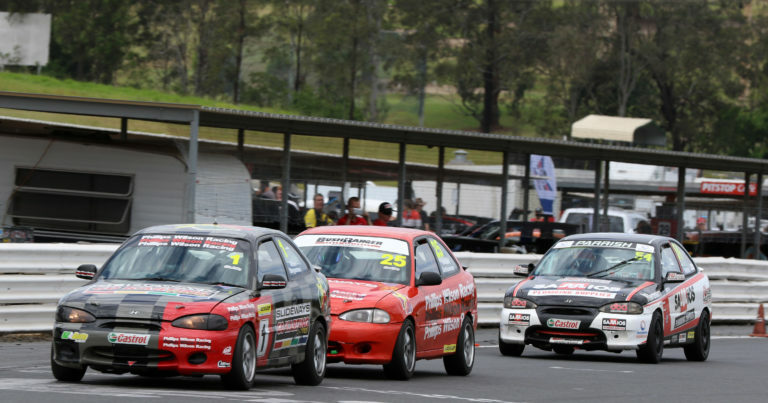 Daniel Peasey scored three championship wins, to go with his success, alongside John McLaughlin, in the Bushranger 200, while John Sheridan and Mick McCloud scored two wins each. 2018 proved just how dominant Cam Wilson’s 2017 championship win was – Wilson won over 20 of the 32 championship races last year, and not one driver managed half that number this season. Coming into this round, Brett Parrish and Darren Whittington had won the last ten races between them – that streak of dominance from the BPRO squad was ended by their former team-mate, and the outgoing champion, Cam Wilson, when he took the chequered flag in race 1. Nothing separated Scott Green, Darren Whittington or Brett Parrish when it came to Qualifying, with all three men claiming pole position on two occasions this season. 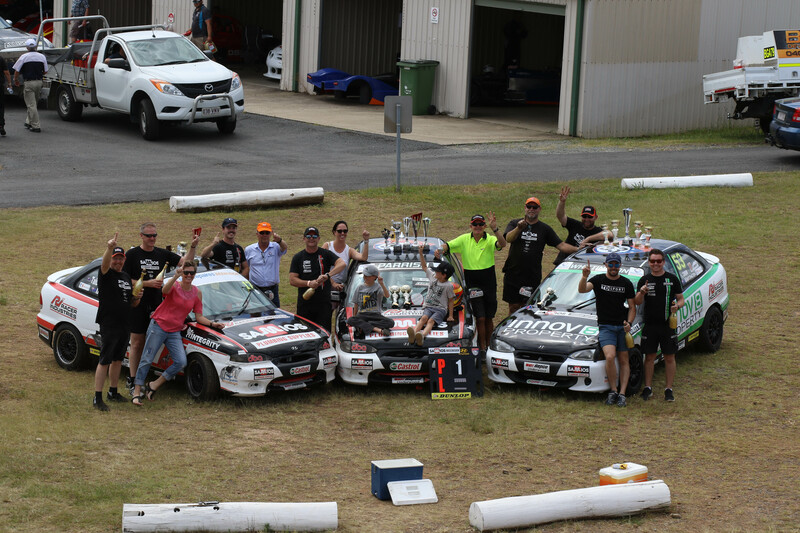 There were five different round winners this year – Darren Whittington took three of the eight, the 4-time champion claimed two, while Mick McCloud, Daniel Peasey and Cam Wilson all took one each. 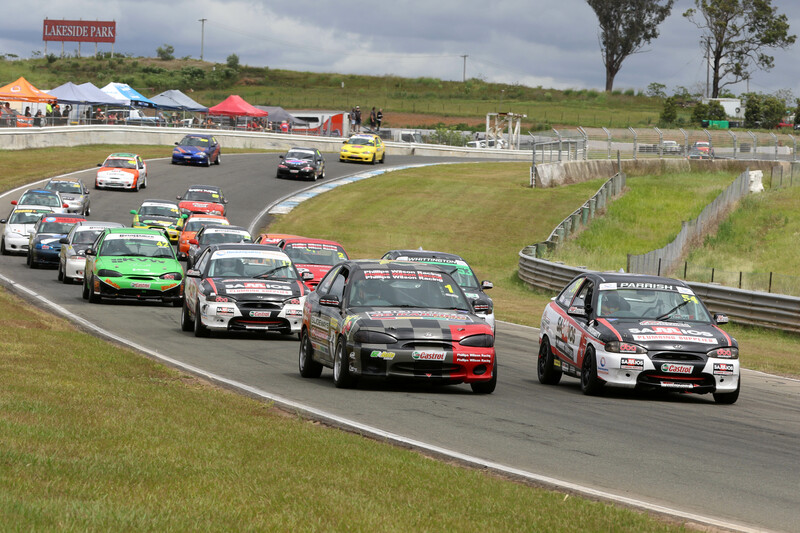 On seven occasions in season 2018, the driver who won race 1 also won race 2, but carrying winning form into Sunday proved difficult. Only twice did we see a Saturday winner taste success on Sunday, and only once did we see a driver sweep a weekend, and that was Cam Wilson in this final round. Consistency was the key for Brett Parrish. After scoring only 55 points in the opening round of the season, he would take 80, or more away from the next five rounds of the series, before taking 46 of the possible 50 on offer in Round 7, and walking away with 92 in the final round of the season, and it’s interesting to note that all of his six race victories came at Queensland Raceway – he didn’t taste success at Lakeside Park in 2018. 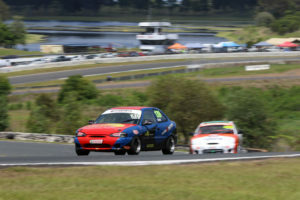 The closest winning margin of the season was 0.0083, when Brett Parrish pipped Darren Whittington, at the post, in Race 3 of the fifth round, back at Queensland Raceway, in July. 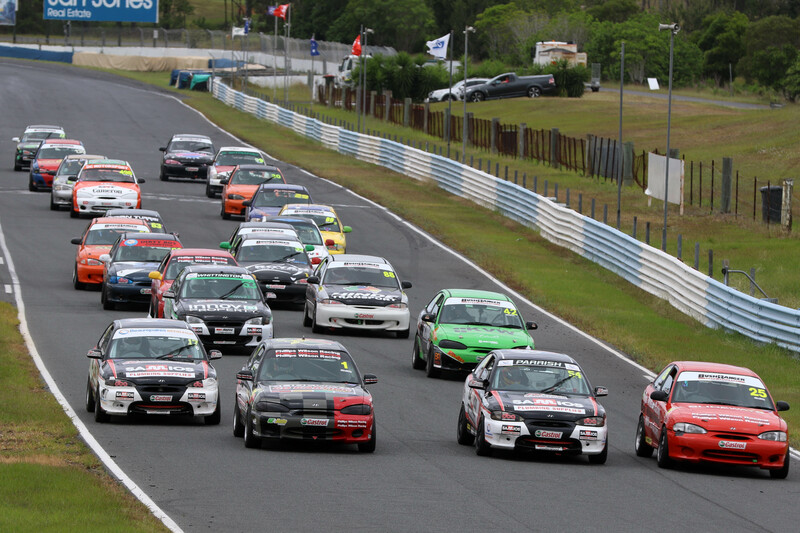 Over 60 drivers scored championship points this season, as the Track Attack Australia Excel Cup further cemented its status as the best single-make racing series in Queensland. 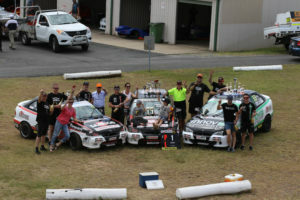 The Hyundai brigade have entertained audiences right throughout south-east Queensland, and following a four-month summer break, they’ll return to do battle again, over eight rounds, in season 2019. We look forward to your company then, but in the meantime, we bid you farewell, Merry Christmas and a Happy New Year.